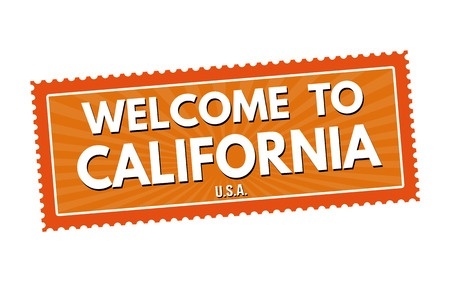 A new California law is drawing attention to a much-misunderstood issue – whether California Finance Lenders can pay referral fees to unlicensed ISOs. Effective January 1, 2016, the answer is yes, but only for commercial loans with an annual percentage rate of less than 36% where the lender reviews documents to verify the borrower’s ability to repay. These restrictions benefit non-profit lenders making business development loans, and shut out their higher-cost commercial lender competitors from paying referral fees to unlicensed ISOs. Existing regulations under California’s Finance Lender’s Law (“CFLL”) prohibit paying any compensation to unlicensed persons or companies for “soliciting or accepting applications for loans.” 10 CCR 1451(c). This prohibition does not apply to referrals for merchant cash advances or referrals to banks, which are not subject to the CFLL. A number of not-for-profit CFLL lenders offering business development loans complained that it was unfair that they could not pay referral fees to an unlicensed ISO while their higher-cost competitors, the merchant cash advance companies, could. Performs underwriting and obtains documentation to ensure that the prospective borrower will have sufficient monthly gross revenue with which to repay the loan pursuant to the loan terms. The lender cannot make a loan if it determines through its underwriting that the prospective borrower’s total monthly expenses, including debt service payments on the loan for which the prospective borrower is being considered, will exceed the prospective borrower’s monthly gross revenue. Examples of acceptable forms of documentation for verifying current and projected gross monthly revenue and monthly expenses include, but are not limited to, tax returns, bank statements, merchant financial statements, business plans, business history, and industry-specific knowledge and experience. If the prospective borrower is a sole proprietor or a corporation and the loan will be secured by a personal guarantee provided by the owner, the lender must consider a credit report from at least one consumer credit reporting agency that compiles and maintains files on consumers on a nationwide basis. Obtaining the borrower’s signature on documents. Many for-profit CFLL licensees may find the narrow exemption that permits CFLL licensees making commercial loans to accept referrals from non-licensed entities impractical. The industry may instead choose to focus on the existing prohibition against paying non-licensees for “soliciting or accepting applications for loans” to avoid the limitations on the loan terms. Home › Legal Briefs › Can California Lenders Pay Referral Fees to Unlicensed Brokers?